Registration is CLOSED. Registration for 2019-2020 will open on 11/1/2019! Goals and Purpose of Program: Winter Trails is designed to teach and/or improve trail running skills for folks with all levels of trail running experience. In addition it will build endurance, strength and coordination necessary for success. We invite anyone with trail running experience that wants to spend their Saturday mornings exploring the miles of awesome interconnecting trails that run throughout the county while improving their endurance, technique, and core strength. Come join us and enjoy the vibe with a group of other like-minded trail runners while hitting the single track out here in MoCo. 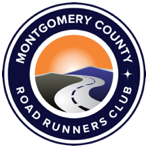 The main focus will be training up for our target race, The Seneca Creek Greenway Marathon/50k, held by MCRRC every March, but folks going shorter distances will be accommodated and encouraged too. The program can be adapted for other early spring trail races as well. We will utilize a different trail every week, 13 trails in 13 weeks. You will learn all about the amazing trail system this county has. Prerequisites: Trail running requires different techniques and mechanics than road running. It is recommended that folks have at least some trail running experience but it is not required. If choosing to train for the Greenway Trail Marathon/50k runners should have recently run a marathon, done several half marathons or can run at least 10 miles. Cost/Premium Info: The cost of the program is $70. No race registrations or club membership are included. Club membership is required to participate in this program. All runners will receive a premium to be determined. Registration is limited to the first 150 runners to sign up. Please note our programs have a NO REFUND POLICY. Details can be found here. Orientation: Please join us on Thursday, November 29, 2018 at the Mid-County Recreation Center (large conference room), 2004 Queensguard Road, Silver Spring, MD from 7:30 PM to 8:30 PM. You do not need to be registered for the program to attend orientation. If you are unsure if the program is right for you, please plan to attend the orientation prior to registering – come with questions! Target Race: The program will target the Seneca Creek Greenway Marathon/50K on March 2, 2019. The program can be adapted for other early spring trail races as well. A target race is not required for participation in the program. Coach Bruce, AKA “Trail Boss” is an RCCA certified coach who has coached for MCRRC since 2011, and coached with the Experienced Marathoner’s Program from 2012 -2016. Trail Boss has run over 35 marathons and ultra marathons, including nine 50 milers, two 100 milers, as well as numerous 50k trail races. He has coached the Winter Trail program since it began in 2012 and loves to share his passion for the trails with new trail runners! Coach Audrey, AKA the “Real Boss,” is an RRCA certified coach who has been involved with MCRRC as a coach or participant for so many years she has lost count. She started out with the First Time Marathon Program where she served as a pace coach and co-director. She has run with and/or coached the 5K, 8K, and Speed Development training programs and has coached the Winter Trails program since it began. After a long career as a marathoner, Audrey made the switch to trail running several years ago and has completed numerous half-marathon, 50K, 40, and 50 mile events. Audrey loves trail running and has been known to stop in the middle of a run to marvel at the scenery. She’s excited to join on as co-director this year and is looking forward to a great winter season! We also have a coaching staff of highly accomplished trail & ultra runners, often referred to as the “Smurfs” due to the bright blue coach’s tops they wear out on the trail. They are out there every week to give advice, share their experience, and ensure the safety of our runners out on the trail. Safety Notice: Runners should try to pair/group up and be aware of each other while out on the trails. Everyone should carry a phone. Coaches will be notified immediately if illness, injury or inability to keep up with your group. All Runners will sign in and sign out. Don’t make us come track you down if you forgot to sign out! It will cost you a large quantity of the beer of our choice! We will give you the cell phone numbers of the coaches for emergency use during our group runs only. Call if ill, lost, injured, or unable to maintain pace with your group. We will also utilize calls and or texting to ensure all runners have safely returned to their cars/homes.